I know I haven't been around a lot, and I've definately lacked lately in visiting your guys blogs, but once I'm back from my holidays I'll catch up! I'm leaving saturday for a week to Meaux, France. I'm going camping with 4 of my friends, and I'm really excited for it. We're definately going to visit Paris for a day as we are really close by the city, and further...We're not sure yet, but we'll for sure have a blast. Talk to you all, soon! You would say that summer holidays allow me to blog more, but I've found myself less behind my laptop than when I don't have holidays, for the very simple reason that I already spend so much time behind it for my studies. Anyway, I'm back with a little update on the Color Run in which I participated in the city of Zwolle on the 7th of July. For those who don't know the Color Run is a colourful running event for a good cause. I have to say we had a very good time, even though it was about 30 degrees celcius, so it was a bit too warm to run the full 5k. Secretly, the most fun part was travelling back by train for nearly 4 hours, all covered in the bright coloured dust. The looks we got from bypassers....hihi. Below one of the promotion videos so you get an idea of what the day looked like! I tried to look up a sypnosis for this movie, I'm not sure if there actually is one. Anyway, those who have seen the first movie or any of the trailers will probably no what it is about, or not, because most of the trailer just feature the awesome minions! The movie is about Gru this time trying to save the world, of course together with his minions. The movie was in 3D and honestly I'm not that big of a fan of 3D but with animation movies it usually works. 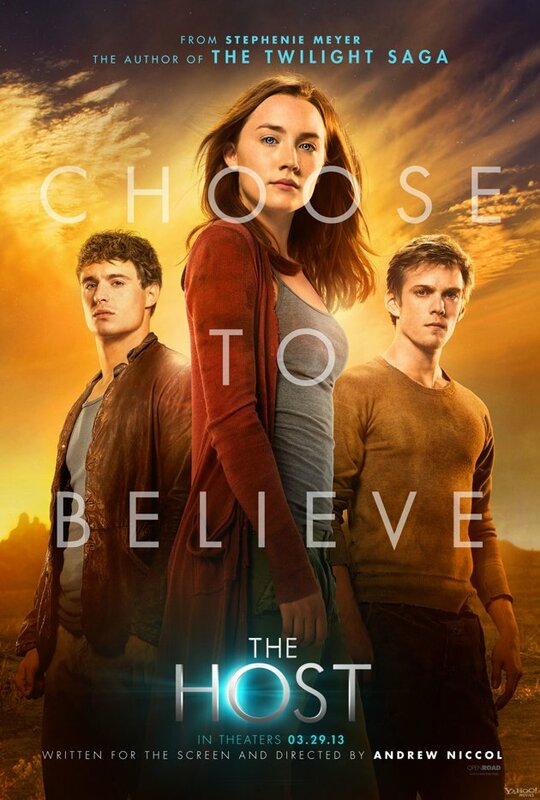 It definately worked for this movie as well. I saw the first one in 3D as well and it just as much worked for this one. When me and two friends arrived at the cinema, we noticed we were a little older than the average age of visitors, ah well. We actually went as a last minute decision on our first day of holidays (the two friends I went with had their last exam two hours earlier) and it was a good call. We laughed: A LOT. It was funny to see how some parts that are featured in so many commercials were actually there (like from commercials for Chiquita Bananas). I have a feeling this is not going to be a very extensive review, because all I want to say about this are: MINIONS. They are just awesome and are the very core of the movie, no matter that the kids of Gru are really cute too. The part where we maybe laughed the loudest was the credits, weird huh? 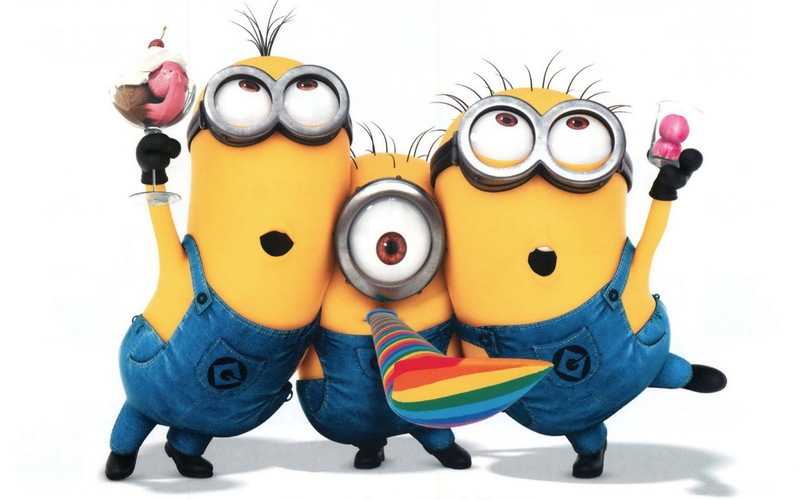 There you have these three minions "auditioning" for the movie, just all minion awesomeness in a few minutes. Just popping in to announce the winner of the give-a-way for Positive Women. I hope to have a normal post up tomorrow again! Even though it is holidays for me (finally) I've been quite busy with a lot of nice things lately, so stay tuned! a Rafflecopter giveaway Congrats Yasmine! For everyone who participated, thank you so much. If you are still interested, please have a look on the website to purchase your own for the charity, Angels for Positive Women. This year, like every other, the magicians of Imardin gather to purge the city of undesirables. Cloaked in the protection of their sorcery, they move with no fear of the vagrants and miscreants who despise them and their work—until one enraged girl, barely more than a child, hurls a stone at the hated invaders... and effortlessly penetrates their magical shield. 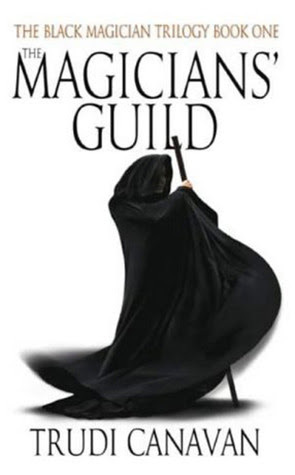 The Magicians' Guild by Trudi Canavan is the first book in "The Black Magician Triology". However, there is a prequel to it, which is basically a history book. That book, The Magician's Apprentice, I reviewed last year here. As for The Magicians Guild, I would give it 4/5 Stars. I'm one of the million. Are you? Positive Women is a charity that supports the women and children of Swaziland. I've come to known the charity via their ambassador, Joseph Morgan as he happens to be my favourite actor. He has already put forward great work for the charity and raised a lot of money for it so far. When a little while back one of my best friends Annelie set up Angels for Positive Women I immediately joined the boat to raise money for Positive Women. 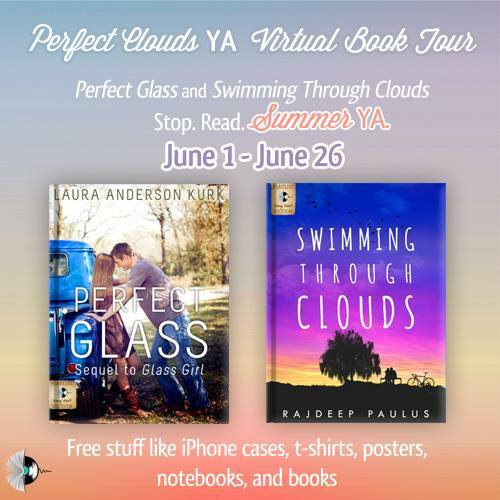 Welcome to the 19th stop of the 'Perfect Clouds YA Virtual Book Tour', presenting Perfect Glass by Laura Anderson Kurk and Swimming Through Clouds by Rajdeep Paulus. Be ready for a lot of epicness below. Of course I'll tell you what the books are about (and how amazingly awesome they are), you will also find the new post it and hidden letter for those who are collecting those for the final revel AND of course there is an awesome-tastic give-a-way at the end! Things get messy when Meg Kavanagh gets involved—first with Jo Russell, the eccentric old artist, and then with Quinn O’Neill, the intriguing loner who can’t hide how he feels about Meg. Her senior year isn’t turning out like she planned it, but sometimes the best parts of life happen in the in-between moments. And Henry will be home soon, right? He commits to one year in an orphanage that needs him more than he ever dreamed. Thousands of miles from Meg and the new punk who has fallen for her, and absent from the ranch that’s in his blood, Henry Whitmire finds out what it means to trust. When you’re so far from home, it’s terrifying to realize you’re not who you thought. But the perfect glass of calamity makes the best mirror. 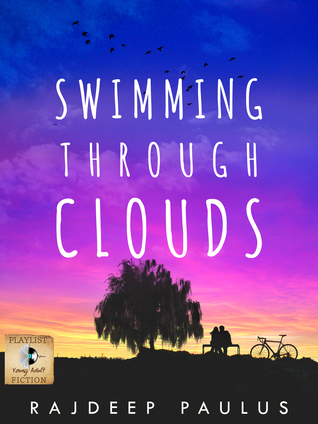 An identity crisis, long distance love, new temptation, and growing pains teach Henry and Meg how to hang onto each other and to what really matters. I pointed out before that I love piano music and that it can be so touching. I also love listening to piano music when writing stories. It is easier to get inspired by this kind of music than songs that have lyrics in them, for the simple reason that I start listening (and sometimes sing along) to the lyrics and get distracted from what I was actually doing. I recently came by the composition below, "Unspoken". It is from a fellow writer whom I've gotten to know via Go Teen Writers. Leah is only 17 years old and composed and played this piece herself. 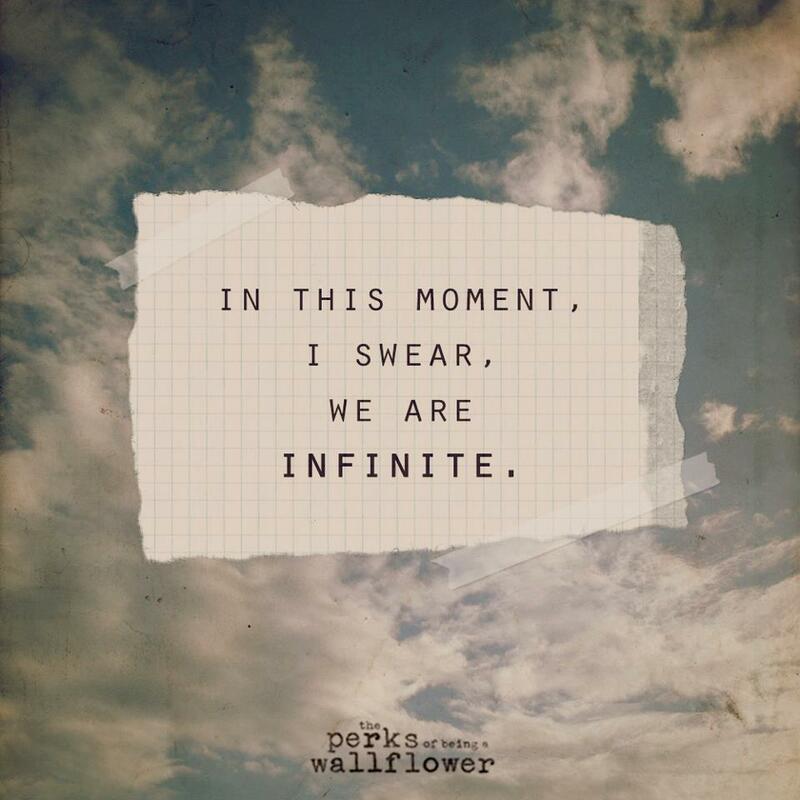 The first time I heard it I was totally awed by it. Isn't it gorgeous? 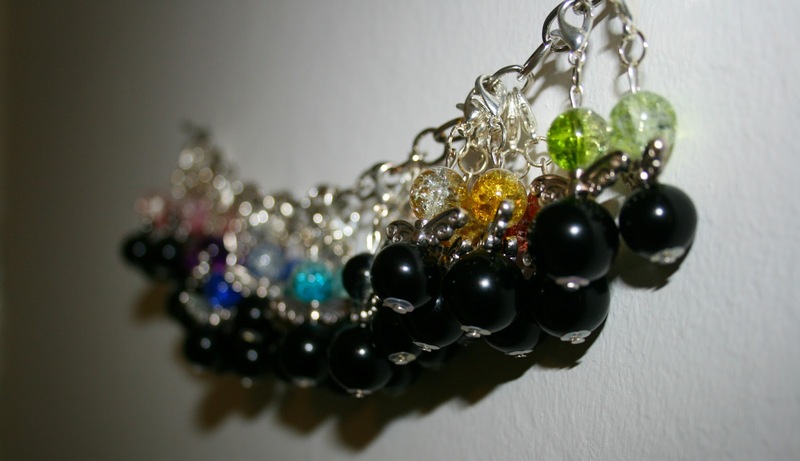 If you want to know more on the inspiration for this piece, have a look at her blog. I live in the in between. Between what if and what is. It’s how I manage. It’s the only way I know. Everyone has their way. This is mine. Hi guys! I'm back from Germany from the Vampire Diaries convention. Alright I've been back since early monday morning, but I've been swamped with catching up with work ever since. I'll promise to write a blog about it soon, but it takes quite some time to compile that one, so bear with me. In the mean time, check out the trailer below of the movie The Philosophers. 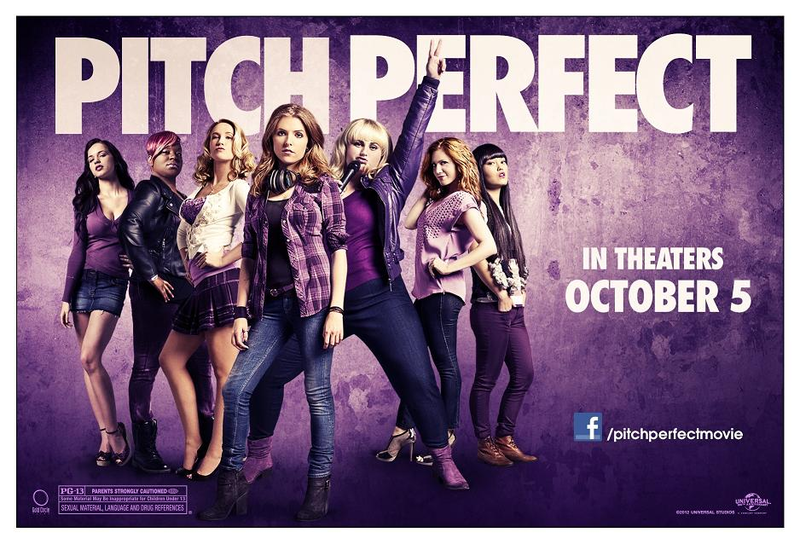 Seriously, this movie looks sooo good! It's been a while since I wrote a London post (actually more than a month), but here is finally a new one. 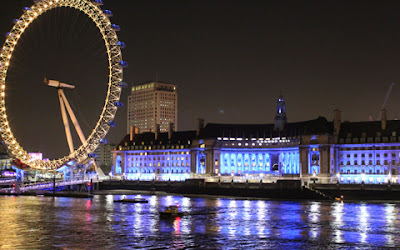 Of course there is clubbing, and going out for a musical or a bite at a restaurant at night in London, but that is not what I wanted to talk about actually during this blog. At one point during my internship one of my co-workers and I received free tickets for one of the bus tours and we did that at the end of the afternoon. We had planned to do it much earlier, but due to work circumstances it was late afternoon by the time we hopped on and that being in March, darkness set in quickly. What we saw wasn't what we had expected, as we had expected to see not much at all, but let me tell you this Westminster Pier by night is even more gorgeous than it already is by daytime. I get that it is a little more difficult to catch this sight now that it daylight is staying around longer, but if you get the chance to see it, definately do visit. This week I added a new piece of jewelry to my merchandise collection. This on top of the collection I already have. For those who hadn't recognized it yet, it's the medallion featured in the Pirates of the Caribbean. I bought it via Film Jewels in case anyone was wondering. The necklace is super light and that is definately a plus for me, cause I have a likewise necklace with an amulet on it, which is quite heavy and it isn' too nice to weary when it's warm weather therefore. So I'm definately happy with this new piece to my collection. Oh and I've also connected the site finally to BlogLovin (see sidebar on the right for the follow button), since GFC appearantly is going to stop, please follow the blog through BlogLovin as well. Finally a new blog post about London. My last one was on coffee places in town, which can be found here. This time it's about Alternative Tours and like the name itself says, it's a bit different from those standard bus tours. Unfortunately I didn't have the chance to try them out myself as I only found out about it a week before I had to leave. However, the next time I'm in London I definately want to go on one of these tours, cause they sound fantastic and I've heard loads of good about it. 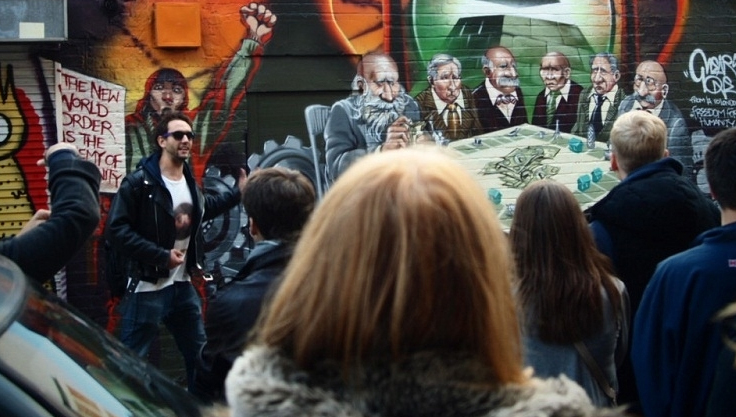 This is our original tour which was established to showcase East London's incredible creativity whilst giving insights into important historical and cultural events that have made the area what it is today. Even though this is much more than just a London street art tour, you are guaranteed to see a huge range of artwork from around forty artists per tour. Street art by nature constantly changes, which in turn means that our tours also change and evolve on a very regular basis. This guarantees that a tour with us will always feel fresh. 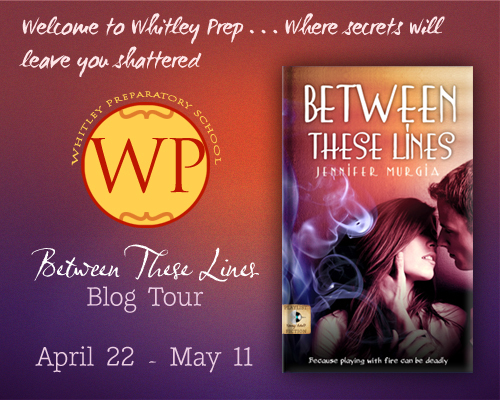 Welcome to the very first day of the Blog Tour of 'Between These Lines', a book written by Jennifer Murgia. 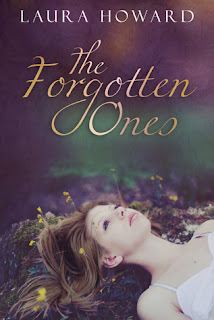 For the blog tour I got the chance to interview the wonderful Jennifer about this and her previous written books. Read on after the interview for a snippet out of the book and to enter the give-a-way! You can win the e-book of Between These Lines, the Sylvia Plath collected poems, an exclusive cover necklace and Evie's diary. Also, make sure to come back soon for my review of 'Between These Lines'. Hi Jennifer. Thank you for being here today. The kick off of the ‘Between These Lines’ blog tour, great! For those who haven’t read the book yet, can you tell them a little about it? BETWEEN THESE LINES is primarily about a class assignment that forces popular girl Evie Cunningham to befriend one of the school’s “invisible”, Chase Mitman, with deadly results. It’s an emotional story focusing on the social agenda of students at a preparatory high school and the impact it has on their lives. BETWEEN THESE LINES offers a haunting reminder that sometimes the person you think you know the most is the one you know the least—and sometimes, that person is yourself. As I watch a lot of fanvideos on Youtube all of the time, I thought it would be nice to now and then share some of my favourites with you guys. I have to warn you it has a major spoiler in there for Season 4 of The Vampire Diaries. Yes, I know again The Vampire Diaries, but this is such an emotional and beautiful video that I couldn't help but share it. Besides, Tina is also one of my favourite YT fanvidders out there. Shuffle Saturday is a weekly theme hosted by Pretty In Fiction to share a random song from your Ipod. A cover this time in my Shuffle Saturday. I think most of you will know the original song Titanium by David Guette ft. Sia. This cover by Tiffany Alvord is an accoustic version of the song and I've loved it since the first time I heard it. I liked the original song already, but this one feels so much more emotional and touching, which really fits with the lyrics. 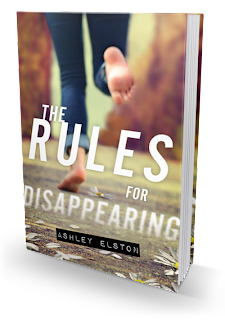 When Meg Kavanagh finds herself in the unthinkable role of grieving sister, she discovers some harsh truths—parents aren’t perfect, life’s not always sweet, and the dead don’t write back. Worried she might have caused Wyatt’s death, Meg folds her heart into a box. Her famous mom grieves by slowly disappearing, and her dad copes by moving them to a small town in Wyoming. What she finds in Wyoming blindsides her. His name is Henry, and he’s a rancher’s son who pulls Meg into his larger-than-life world and shows her that being sensitive is not an excuse to sit this one out. Meg wants to be brave like Henry because the best things in life—like falling in love and finding mercy—require uncommon courage. And Henry has a secret that changes everything. I came across the 99 things tag via the blog of AnneSolveig and had so much fun reading it, that I've published it here now as well. The things that are bold are the things I've actually done/visited/experienced. Feel free to copy the tag! 1. Set up your own blog - Guess this one answers itself right? 8. Climbed a mountain - No Hymalya or anything, but I did have my share of hiking through the Pyrenees. 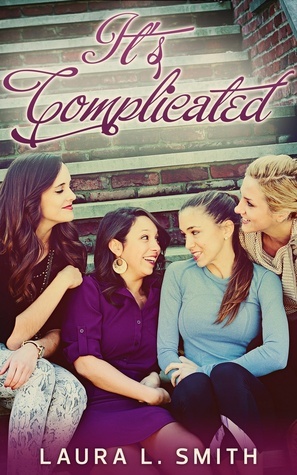 There’s a reason Facebook has the relationship status, “It’s Complicated.” Follow four college roommates, Claire, Palmer, Hannah and Kat as they maneuver crushes, confusion, and the crisis when pushy boys go too far. Complicated as it is, these four friends will pull through, guided by the strength of their friendship and the power of God’s love. My third post on my London series is here. I previous did one on Borough market, this time one on all the coffee places in London. I can't blame you that Starbucks might be the first place that comes to mind (especially with the above picture), but there are many more amazing coffee places to be found in London with sometimes even better coffee (or cheaper). Besides Starbucks there are a couple of more chains that have more or less the same set up and concept like Costa Coffee and Caffè Nero. When I was in London for my internship I actually had both AND a Starbucks right around the corner, how lucky was I? I preferred mostly Caffè Nero and Costa Coffee over Starbucks as the prices are a little cheaper and the coffee was even nicer now and then. The only thing you would be missing would be the awesome cups with your name on it ;) But that was worth it for me. Though I have to be honest, the mocha lattes from Starbucks are delicious! A little while back I reviewed Medusa, A Love Story by Sasha Summers. 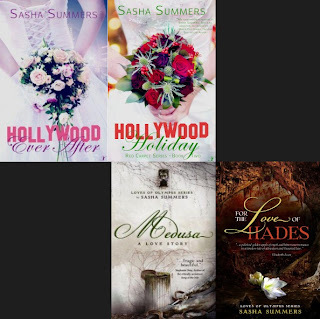 Today I bring you Sasha Summers once again, but now via an author interview. You guys have no idea how giddy I was about doing this interview, really. So sit back, relax and read more about her books and how she has to make some tough decisions. 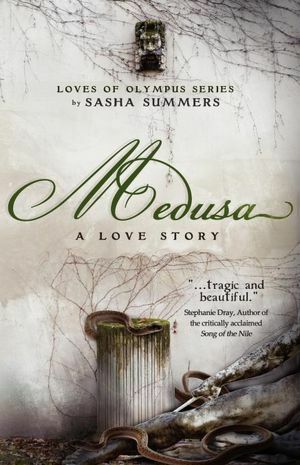 What brought you on the idea to start writing books about the Greek mythology? 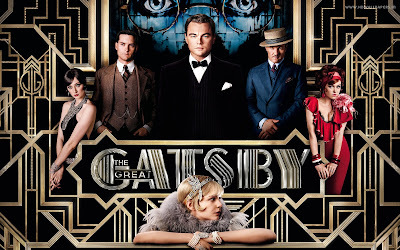 I went into the movie without too much expectations, as besides one trailer and a few photos I hadn't seen much else. I had read the book though, but since it has been a fair amount of years back since I've read it, I couldn't exactly remember anymore what was about to happen, though I knew how the rough storyline was. And that might have been good thing. REVIEW WILL CONTAIN SPOILERS FOR THOSE WHO HAVEN'T READ THE BOOK. I came across Nailpin a couple of years back when Joyce recommended the band to me. It's a Belgian rock band for those who don't know them. I have to admit that their music isn't the first on my fanlist, but they do have a couple of song that I quite enjoy, of which 'This Coma' is one. 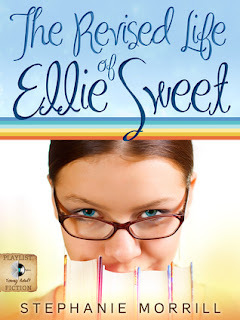 Brielle’s a ballerina who went to the city to chase her dreams and found tragedy instead. 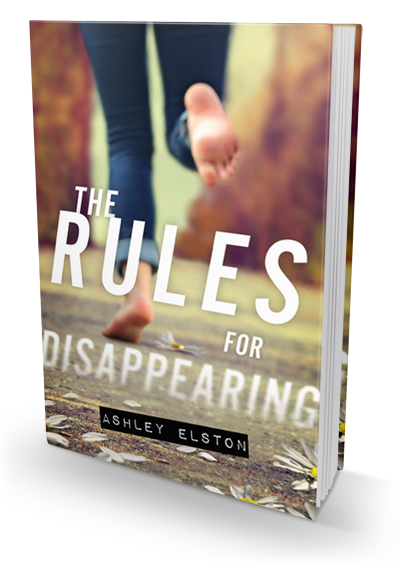 She’s come home to shabby little Stratus, Oregon, to live with her grief and her guilt . . . and the incredible, numbing cold she can’t seem to shake. Jake’s the new guy at school. The boy next door with burning hands and an unbelievable gift that targets him for corruption. Something more than fate has brought them together. An evil bigger than both of them lurks in the shadows nearby, hiding in plain sight. Two angels stand guard, unsure what’s going to happen. And a beauty brighter than Jake or Brielle has ever seen is calling them to join the battle in a realm where all human choices start. Angel Eyes by Shannon Dittemore has been a book that has been on my to-be-read list for quite a while and finally managed to gotten around to read it. Rating wise I would give it 3***. Let me explain why. 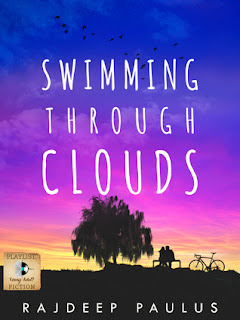 After introducing Playlist Fiction to you last week, I've got another post today concerning the awesome authors that are publishing under the label. I was really excited to this post and I'm glad they all agreed to participate, namely in a 'This or That' post. 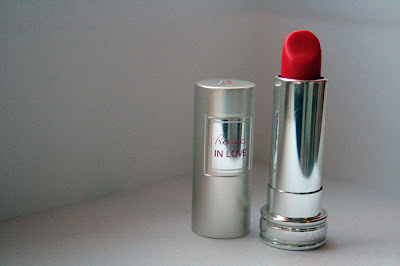 Keep reading on and find out what Laura, Stephanie, Jennifer Rajdeep and Laura prefer. 1. Writing books or Reading books? Laura Anderson Kurk: Wow. That’s impossible hard to answer. Um . . . writing, I guess. But I write books that I want to read. Stephanie Morrill: Oh my goodness, this is so hard! I’m gonna have to say writing. As much as I adore reading, when my time gets squeezed, it’s writing that I miss the most. 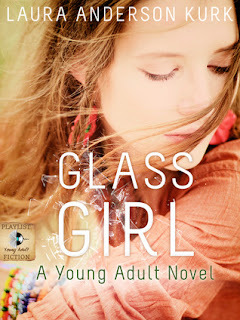 Jennifer Murgia: Reading books. Sometimes I need an escape from the stories in my head. Rajdeep Paulus: BOTH! OF course! Laura L. Smith: Really? Give us the hardest question first? 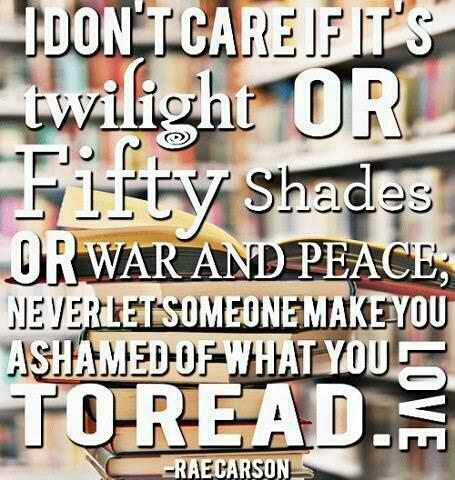 I am who I am because of the books that I've read. I come alive when I write--it defines me. I cannot choose. 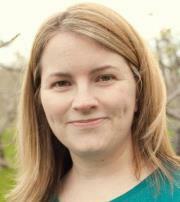 Laura Anderson Kurk: I couldn’t live without either. 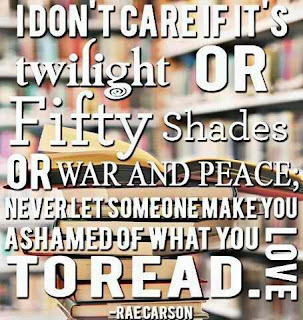 But if I HAD to choose, it would be books. Stephanie Morrill: Okay, so far this is just torture! After much inner turmoil, I’m going to say books. Rajdeep Paulus: Both again. Especially together! Laura L. Smith: Another hard one. Gheesh! Give a girl a break. Alright, music also defines me, sets my mood, enhances it, gets me out of a rut, energizes and mesmerizes me. But if a gun was to my head - I pick books. Sorry for the lack of blogs, getting kinda crazy with college work and this dinner that we organise for the 1st of April. 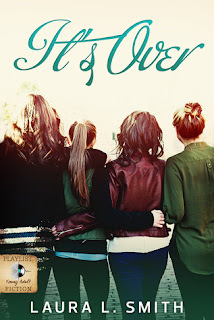 But here I'm again with a new blog and an exciting one, namely the cover reveal of Lynn Rush's "Frostbite". I'm pretty sure this song hardly needs any explanation right? It's a gorgeous song, that is played on my Ipod very, very often. Can I just say a huge thanks for the comments on the '10 questions on my writing' blog? They were heart warming, really. Why I am mentioning that in this particular post? Because I'm going to give you guys another peek into my writing. This time though in the projects that I did before I started writing that story 'The golden heart'. I actually had a lot of fun browsing through my old stories. The first one that I came by that I actually have saved as a word document (before I did some drabbling in notebooks and though they for sure might have had some nice elements, I never turned them into actual sotries) was called 'Miss & Mister Dance'. I started the story in 2006 so that is quite a while ago. It was about a girl, fancy, rich, into ball room dancing, and a guy, always getting into trouble, and the typical street dancer. Boy meets girl, fall in love, dance together and well I guess the ending is fairly predictable here. I enjoyed writing it though a lot. It had some inspiration from 'Step Up', hence the usage of Gina Rene's U Must Be in the story. The total word count was 18.761 words. Not bad I would say. I wrote the story in Dutch in case anyone would like to read it, though I think some of you might have read it actually when I wrote it that long ago. As I watch a lot of fanvideos on Youtube all of the time, I thought it would be nice to now and then share some of my favourites with you guys.This time a fanvideo that I've had in my favourites of Youtube for a very, very long time already, but I still adore it to pieces. Playlist Fiction is a new line of riveting, relevant young adult fiction by authors Laura Anderson Kurk, Stephanie Morrill, Jennifer Murgia, Rajdeep Paulus and Laura L. Smith. Playlist Fiction is backed by MacGregor Literary, Inc.
We're a collection of Contemporary Young Adult ebook titles that are full of life, laughter, tears and all that falls in between. Are you ready to Download the Drama? We launch April 1st! That says it all doesn't it? 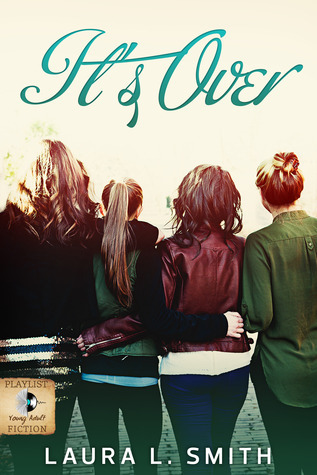 Playlist Ficion is a new line of books, which start to launch April the 1st. And guess what? I've been part (and well of course still am) of their awesome Street Team. This means I'm going to introduce you guys to all of the awesome authors & their books that are involved in the playlist. As mentioned above, the authors that are involved are Laura Anderson Kurk, Stephanie Morrill, Jennifer Murgia, Rajdeep Paulus and Laura L. Smith. Over the coming weeks I'll do seperate posts on each of the authors and the books they are going to release with in the Playlist Fiction. Excited already? Good! I got tagged for this lovely blog hop by Hannah. It is a blog hop about the book/story you are currently writing. So here we go, hope you guys will enjoy it! The current working title is 'The golden heart', though I'm not sure if that's the title I'll keep in the end. Fairly honest, I can't exactly remember anymore. I thought of something similar to this a long, long, long time ago. As in years and years ago. I never really started on writing it though, I'm not sure why. Only about a year ago I started to seriously jot down things about the story plot and the characters and well, right now I'm actually writing it. Fantasy, that's one, as well as YA I think. Ouch, that's a hard one. 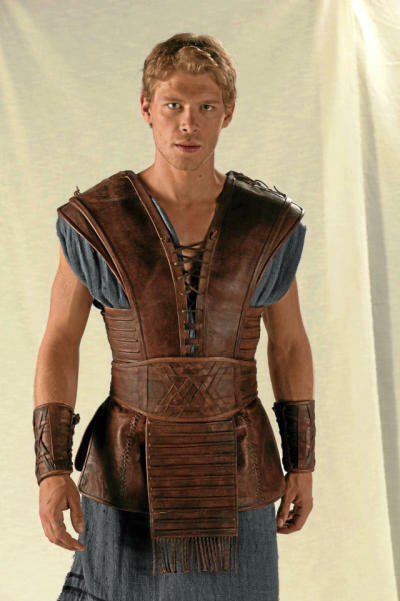 My female main character would come closest to this photo of Nina Dobrev (only her hair colour would be slightly different) and my main male character to this photo of Joseph Morgan. There is a third main male character in the story, but I haven't found a right actor for it yet. Caught up in her royal life, Aveline would have never thought it would be her destiny to reunite her people and restore the long-lost magic. None of the above yet. I'm currently still working on the first draft and well since I started last year, that would be at least a year so far. That is such a hard one. The first two that actually came to mind was 'The Mortal Instruments' series of Cassandra Clare and Trudi Canavan's 'The Magician's apprentice', though I would hardly dare to compare my own story to fabulous stories like that. There are a lot of writers that I admire which goes from world famous writers such as J.K. Rowling to indie authors. Inspiration definately comes from authors like them. 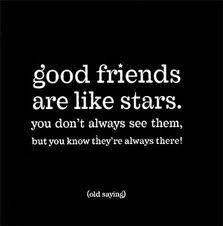 Though my best friend, Yasmine, is definately a source of insipartion as well as she reads along with what I write and now and then, when needed, urges me to keep going! It is my first story that I'm actually writing that is completly my own. Previous I used to write a lot of fanfiction, but this is really mine. Further? 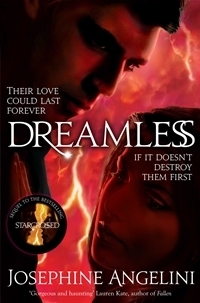 The story will have elements of magic, war and definately some love as well. Oh and definately let me know if you want to hear more about it and I'll do a couple of more posts on the story. To pass on this blog hop, I'm tagging the following awesome people. If I haven't tagged you and still wish to answer the questions, feel free to do so! I've made these cookies actually already a while back, but forgot to put the pictures onto my computer, oops! They are Apple cranberry cookies and were jummy. The downside of it is that I can't get you the recipe or get it for myself again, since, as you can see above, it was a bottle filled up with all the ingredients already. The only thing to be added were eggs and butter (easy peasy huh?). Though I've noticed that when you google for apple cranberry oatmeal cookies, you get recipes that seem to be alike. This one seems to come really close to the ones I made. Did anyone of you ever tried making apple cranberry oatmeal cookies, liked them? 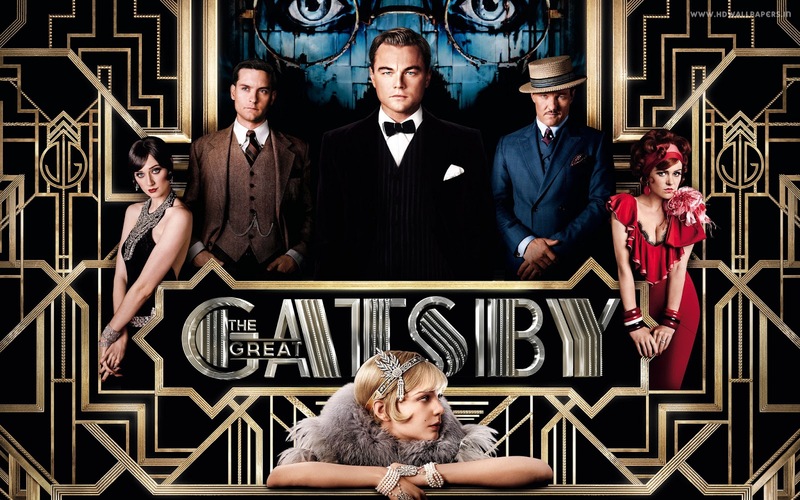 I love watching movies and TV-series, you must know by now, and sitcoms are no exception to that. One of the Dutch television channels always airs sitcoms during the weekdays from about 6 PM to 8:30 PM, absolutely lovely to me. The series change now and then which is nice as well. So let me below list my favourite sitcoms out there (even though not all of them are regularly on TV anymore or stopped making new episodes). Let me know what your guys favourites are! 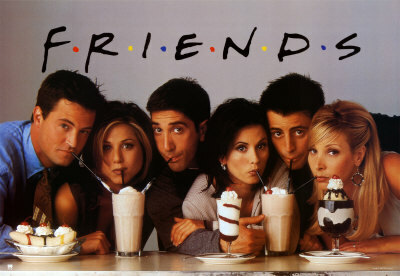 The first season introduces the six main characters: Rachel, Monica, Phoebe, Joey, Chandler, and Ross. Rachel arrives at Central Perk after running away from her wedding to her fiancé Barry and moves into her best friend from high school's (Monica’s) apartment with her. Ross, who had a crush on Rachel since high school, constantly tries to tell Rachel that he loves her, while his lesbian ex-wife, Carol, is expecting his baby. Joey is shown to be a bachelor and struggling actor, while Phoebe works as a masseuse. Chandler breaks up with girlfriend Janice who frequently returns in later seasons. As I pointed out last week I'll be doing a couple of blogs on things to see and do in London (besides the obvious visiting of the Big Ben, Tower Bridge and so on). Now when you think about London, or the UK in general, fine and nice food might not be the first thing that comes to mind. At least, that is the case for me. However, I managed to find a little piece of food heaven in London: Borough Market. Borough Market is more than a place to buy and sell food. It’s a unique corner of London that captures our rich culinary history. A source of quality British and international produce, we have a reputation as the country’s most renowned food market. It’s a place where people to come to discover the tastes, aromas, textures and colours that only fresh, seasonal food can offer. Thank you so much, Arlette, for inviting me here today. I love talking about the craft of writing. I love losing myself in topics like theme and plot and character. In fact, the pre-writing phase is always my favorite part of the entire process. And getting to know my characters just makes me giddy. They become real people to me. I never begin a manuscript without feeling as though I know my characters inside and out. I want to know how they will react to any situation I throw at them, what their brand of humor is, how they hold themselves, and how they see the world. To show this, I thought I’d give you a glimpse into how I got to know my characters for one of my first manuscripts, a YA Contemporary Romance coming out next year with Spencer Hill Contemporary. I just love Lana del Rey. I secretly hope that more Lana del Rey songs come up in the shuffle of my Ipod for my saturday posts. This is one of my favourites though and listen to it quite a lot. I'm not a big fan though of the remixed version that came out a while ago, it just ruined the pureness of the song for me to be honest. I came across this tag via Annelie and decided to have a go at it myself. Anyone who feels like filling out the tag, of course feel free to take it. So let's start and maybe you learn something new about me. First thing you do when you wake up in the morning. Turn my alarm off and slid out of bed, I happen to wake up rather easy in the morning, lucky me I know. I mostly quickly check my phone to see if I have any new messages and so on and then have breakfast. First thing you do when you go to the gym. Fill up my water bottle and then I'll start with cardio first. It varies what kind of cardio I do first, but most of the time you will find me first on the stepping machines. First thing you do when you return from school or work.Grab something to drink and sit down for a while watching TV or read a book, though when I return late from school the first thing I'll do is making dinner ;). London: let's look up closer! I've done a couple of "Cities I've visited blogs", the latest to be found here, and I was planning on doing one for today on London, but then I realised I would never be able to put all of the city's awesomeness into one post. Some of you might know that I've visited London twice: One time visiting for a week with my best friend Yasmine and one time when I did my internship there, which was a visit of 5 months in total. I've fallen in love with this city a lot and couldn't just let it gone by in one post on my blog. Therefore, I will do a couple of blogs on London, all of them zooming in on a different part of London or a different activity and so on. I know for a fact that two of my readers are currently in London, so girls maybe some things will come by that you will want to visit. One of my all time favourite songs by Within Temptation. The first time I heard Within Temptation was a Dutch band (don't worry that was a long time ago) I was absolutely flabbergasted. For a long time their music wasn't really my thing besides some songs now and then, but their album 'The Unforgiving' is absolutely amazing. This song, 'Shot In The Dark', is also from that album. As I watch a lot of fanvideos on Youtube all of the time, I thought it would be nice to now and then share some of my favourites with you guys. 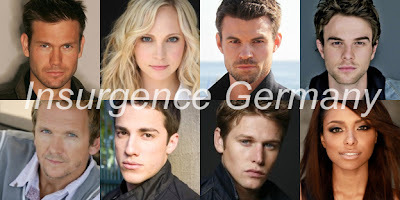 I'll try and vary them a little, but I have to admit quite a big deal will be Vampire Diaries related I guess. Part 1 on 'Show me your Mumu' - Candice Accola, can be found here. Part 2 on 'Your Zen Life' - Phoebe Tonkin, can be found here. 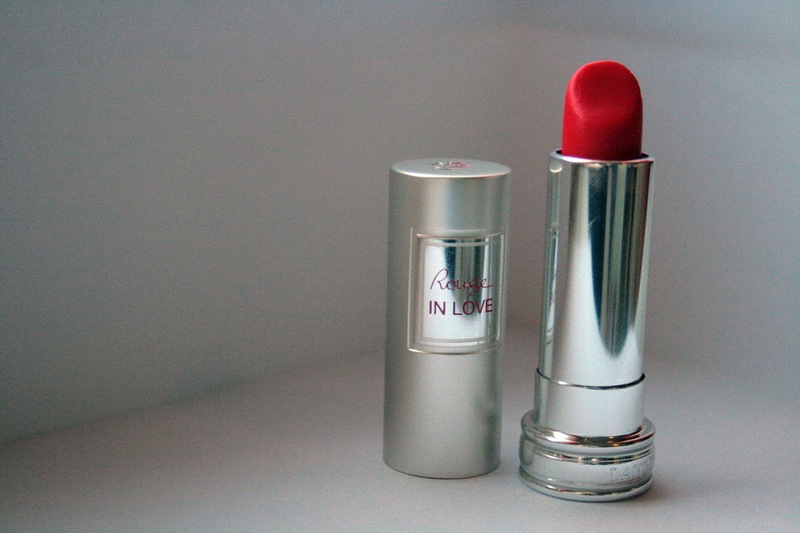 Come out and play with Lancôme’s gorgeously hydrating lipstick, Rouge in Love. Combine vibrant colour with a feather-light texture that lasts up to 6 hours. Choose from 24 colours to achieve a look you love – from natural to sophisticated. Let your lipcolour show your mood. I was actually glad that this song came up as the first song in my shuffle list to share with you guys. It such a beautiful and touching song. Did any of you know it?